Remove 4 cinnamon rolls from the package. 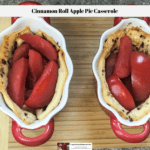 Reseal the package or place the rest of the cinnamon rolls in a cast iron skillet or on a baking sheet. Gently stretch one of the cinnamon rolls so it takes on an oval shape, then use a rolling pin to flatten it out just slightly. You are only making it large enough to fit in the bottom of the casserole pan. Once the cinnamon roll fits in the bottom of the casserole pan, put it in there. Now cut a second cinnamon roll in half. Pick up one half of the cinnamon roll and stretch it to make it long. 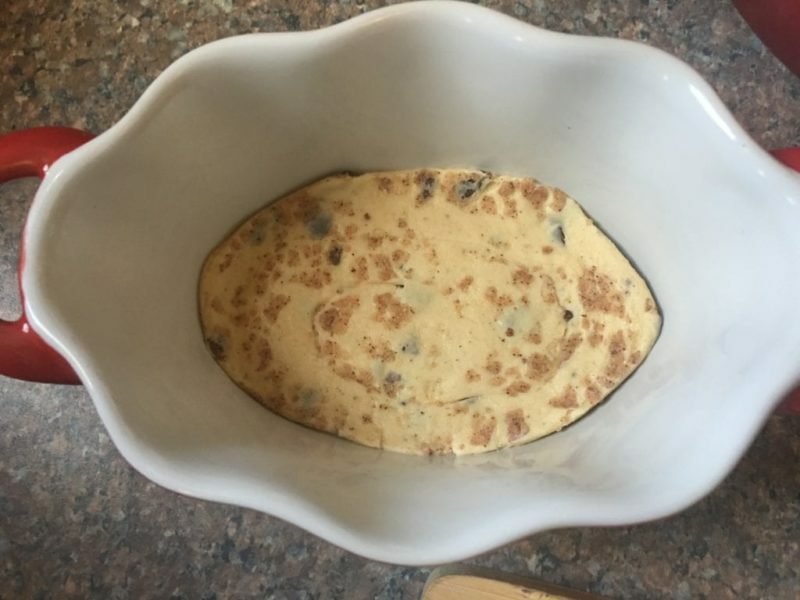 This takes some work, but once it is long enough to fit around the side of half of the casserole pan, lay it down and use the rolling pin to slightly flatten it. Now repeat the process for the other half of the cinnamon roll. 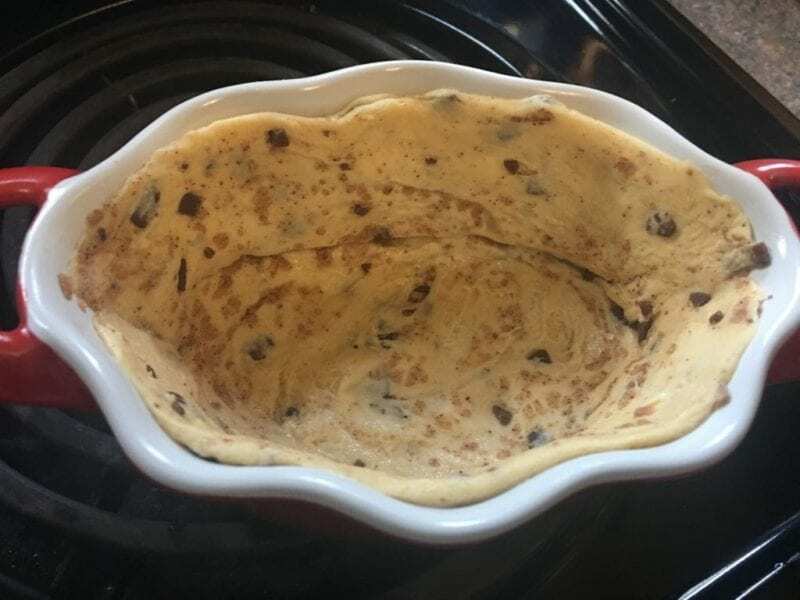 Place the stretched pieces of the cinnamon roll inside the casserole dish on the sides and stretch the dough so the two pieces touch one another and also so the dough comes to the top of the casserole dish. 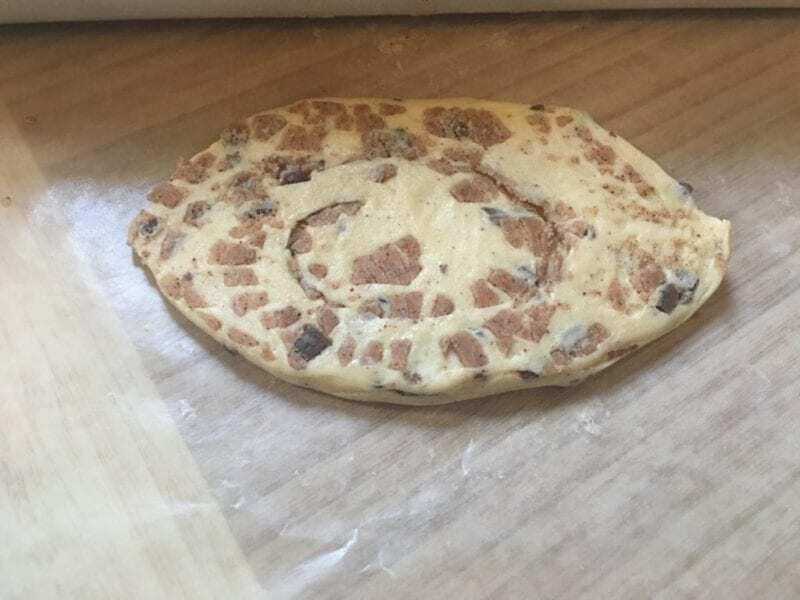 Now wet your fingers and use them to make the dough stay attached to each other on the sides and also to seal the seam at the bottom between that bottom cinnamon roll and the side pieces. 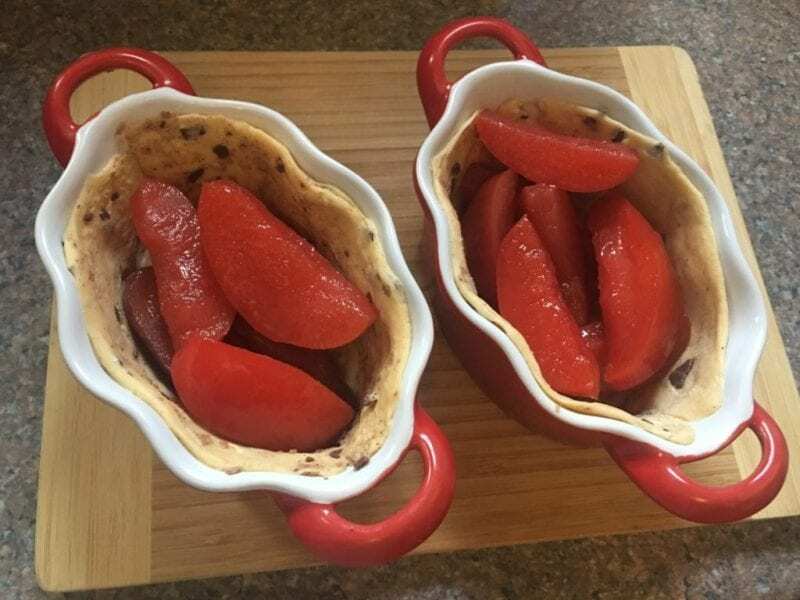 Place the red hot apples – without the juice – in the casserole dish. If you are using apple pie filling instead, simply scoop it in. You want the filing about 3/4 of the way to the top. Place the casserole dishes in the oven and bake for 20 minutes. I tested a small piece of the cinnamon roll on the bottom with a fork to make sure it was done. If not, return the casserole dish to the oven for an additional 5 minutes. 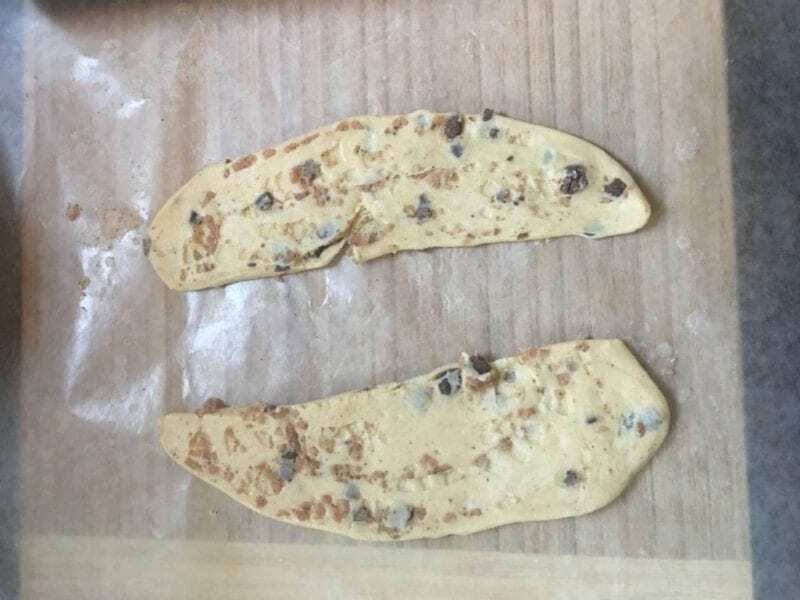 *The package of Pillsbury Cinnamon Rolls I bought had mini chocolate chips in it. It did not say that on the packaging and I cannot find them on their site.